Included Suspension: (2) 6" and (2) 12"
Q What is the length of the lead wire? A The Kichler Lighting Galaxie 1 Light Pendant in Brushed Nickel comes with 68" of lead wire. Q How does one "set and fix" the drop length for the pendant? 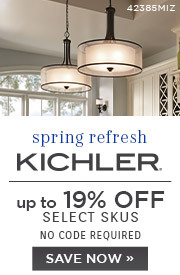 A The Kichler Lighting Galaxie 1 Light Pendant 2643NI has (3) 12" stems that can be adjusted buy unscrewing or screwing them together. 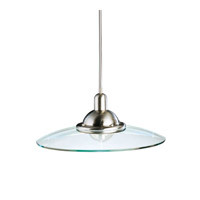 A The Kichler Lighting Galaxie 1 Light Pendant 2643NI can be used with a dimmer. Q What kind of bulb does this fixture take? 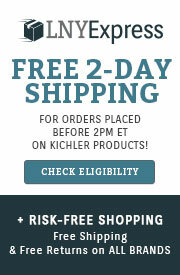 A The Kichler Lighting Galaxie 1 Light Pendant 2643NI requires 1 x 60W medium based bulb. Q Does model 2643NI comes with led bulb? 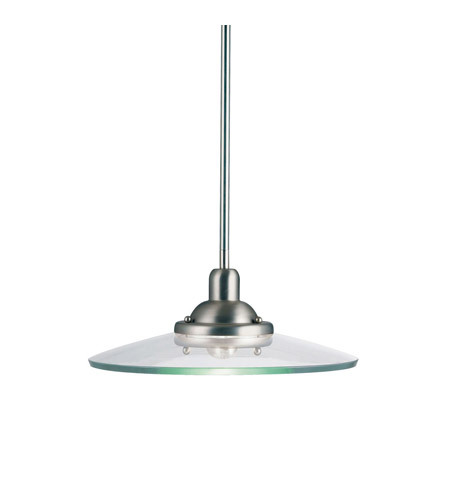 A The Kichler Galaxie 1 Light Pendant 2643NI is not available as an LED version. Q Is the bulb cool or hot to touch? A The Kichler Galaxie 1 Light Pendant 2643NI uses a 60W medium based bulb which will be hot to the touch when lit. 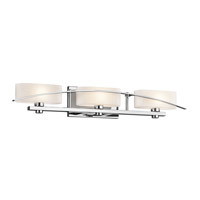 Q Does this come as a 2 or 3 light for island? 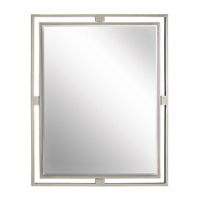 Or something similar looking for island + single for over the sink. 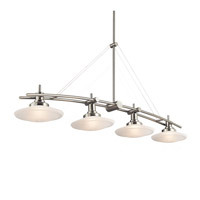 A Unfortunately, the Kichler Galaxie 1 Light Pendant 2643NI is not available as a 2 or 3 Light Island Light. 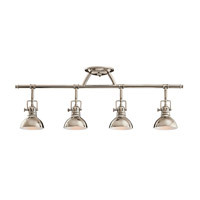 Another similar 3 Light option is the Kichler Lighting Structures 3 Light Island Light 2955NI which comes with (2) 6" and (2) 12" downrods for various height adjustments. Maximum height 60", minimum height 30". There are also matching 1 Light versions, the 2655NI and the 2652NI which also come with (2) 6" and (2) 12" downrods.